The seeds are on the female plant. They're toxic and can lead to liver failure if ingested by dogs. 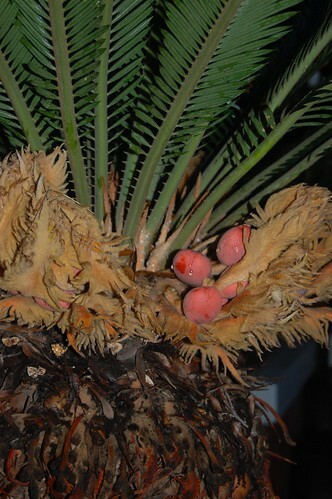 Our sago palm is a male, but our neighbors on either side have female plants.